If you own a franchise, chances are you don’t rule your online kingdom well. The internet is a digital wild west for businesses with multiple locations, and listings have a sneaky way of emerging on various sites across the web — without owners even knowing about it. Add in franchisees with their own motives and you’ve got a whole other piece to the puzzle. A confusing, convoluted digital identity will have a significant impact on your brand in many ways, especially in the O2O marketing funnel. But we’re here to help. The concept is simple: coherent listings translate to a coherent online identity. When your digital identity is intact, search engines will favor your franchise over your competitors. If you haven’t taken ownership of your franchise online, now is the time. Consider this next exercise a form of therapy for franchises, franchisees and digital marketing — a little communication is key to growing a healthy relationship, after all. OK, my franchise definitely needs help. What’s our first step? First thing’s first: it’s time to admit you need a little help from your friends! Franchise owners need to get their hands on a local marketing automation platform. This will allow you to track the activity of each separate listing of the franchisees, all over the web. You can use the platform to ensure the information for each business (address, opening hours, etc.) is accurate and up-to-date. When you’re managing multiple listings, having a central place to complete these tasks is crucial; as soon as Google recognizes a discrepancy between a franchisees listings, the whole brand could suffer. An automation platform will help you avoid this. Great. I’m convinced. How do I get the rest of corporate on board? Putting another task on the to-do list for corporate is never easy. But the key is to educate your colleagues on the importance of capitalizing on the O2O marketing funnel. Bringing in statistics always helps; noting that 81% of buyers research a store online before purchasing an item, and that 96% of consumers rely on mobile searches during micro-moments are important insights to highlight when arguing the value of a centralized, controlled local search marketing strategy. Trust us, when you demonstrate a clear path to major ROI, they’ll be convinced in no time. What about my franchisees? They like to manage their listings. Won’t they be angry? Franchisees working in the thick of the business everyday might know their franchise inside and out. And while making a Facebook, Bing or Yelp listing for a location is a valuable task, if these listings aren’t created with razor-sharp precision and updated regularly, the franchisee could suffer. Many franchisees simply don’t realize how huge the task of managing local listings really is, nor do they have the technical expertise, resources or patience to deal with it. It’s integral that franchises educate their franchisees’ on the overall value of local marketing and listing management, and explain how a centralized local marketing strategy will ultimately bring more customers to their brick-and-mortar locations. Let’s do this. Now where do we go from here? Now here is the fun part. Franchise owners can launch a full-fledged O2O local marketing strategy and watch the success of their franchisees evolve. By gaining valuable insights on a local marketing platform, you can see the success of certain regions, make educated comparisons, roll out a customer review strategy, to name a few. 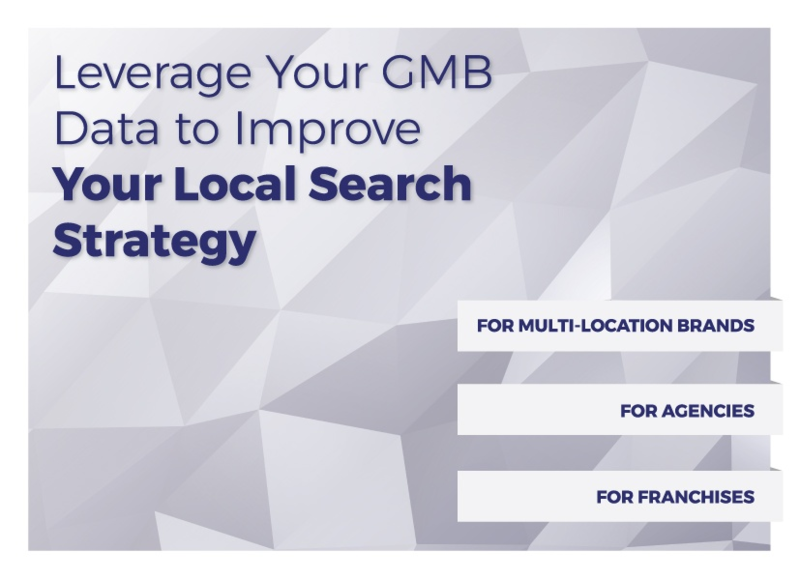 So, as you have it, local search marketing and franchises are indeed a compatible pair — and a pair that can help franchisees boost their bottom line significantly. When you’re all in it to win it, good things happen for everyone.